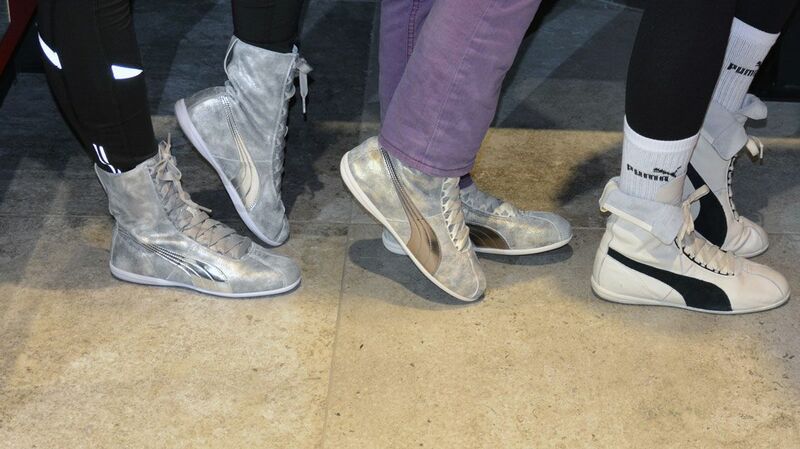 PUMA CATch up>>HOME TURF>>What has hit the shelves recently? Discreet style, modern details and urban inspired patterns: this is the PUMA Evolution collection. All-over print leggings, windbreakers, hoodies and cut sweats make the women’s products very sporty. The menswear is a combination of relaxed and tailored styles with cuts that are slim and long. Colours come in different shades of black, grey and white. 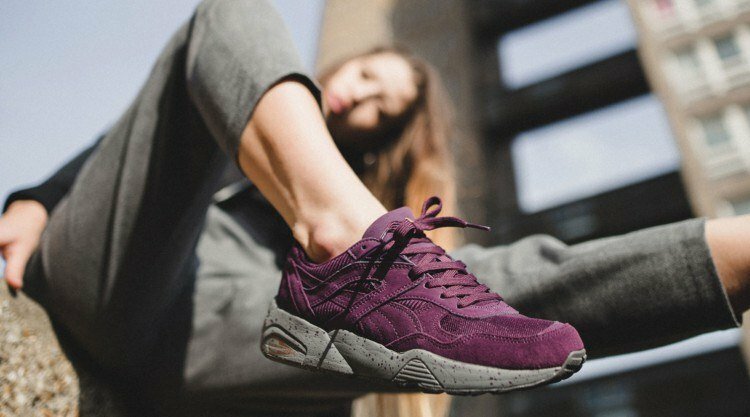 The PUMA Adventurer Pack, which drops three times throughout the year, is a collaboration with one of Europe’s most original sneaker stores – Hanon Shop from Aberdeen in Scotland. The XT2+ shoe has a premium suede upper and shows the late 90’s and early 2000’s passions at the time – music, travelling and more. The other one is the XS850. He is made up of a smooth nubuck leather on the bold suede overlays and at the perforated parts. The shoe also features the classic Hanon print on the sock liner alongside matching laces. 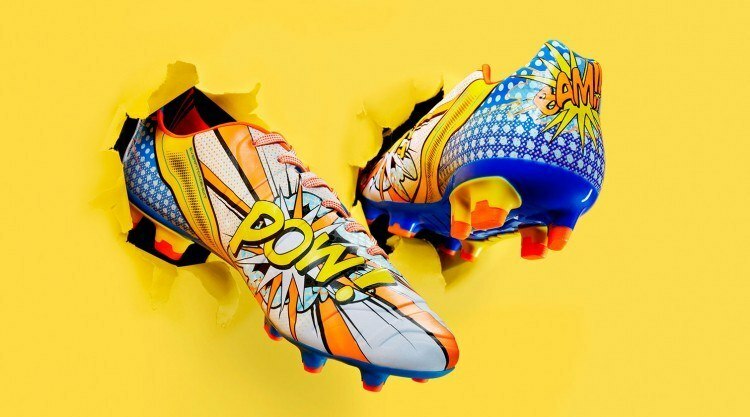 The new Pop Art Football Boot surprises with its unusual design, being inspired by the Pop Art movement in the 1950’s. Its feature is the two-dimensional graphics with clear colours in orange, blue, white and yellow. The evoPOWER 1.2 football boot is currently worn by Cesc Fàbregas, Mario Balotelli, Olivier Giroud, Yaya Touré and many more players. 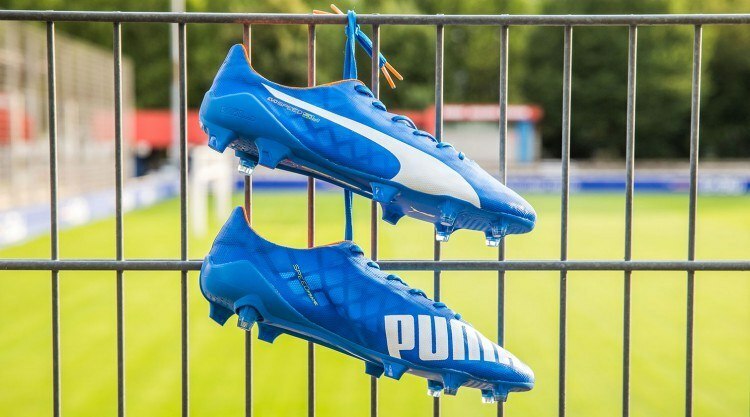 The lightest PUMA football boot came out in electric blue lemonade. It is designed to give footballers a new game advantage by improving speed and agility. 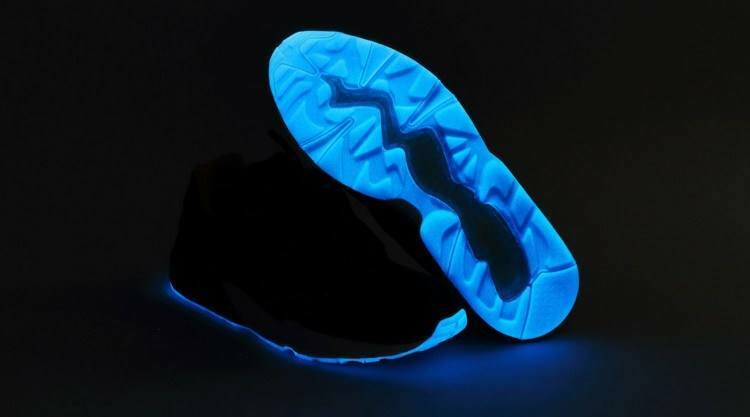 The radical weight reduction was mostly possible by using a super light, almost transparent textile upper material. Great football players like Marco Verratti are playing in new evoSPEED SL. 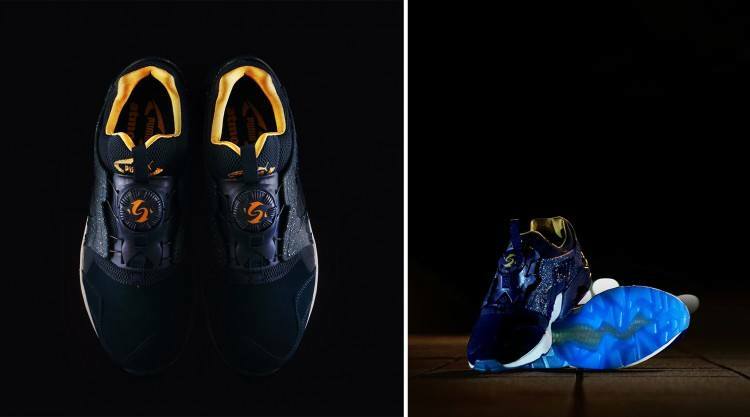 The new Trinomic R698 features everything from neoprene and technical fabrics to streetready print and material applications on top of the model’s unique technology filled sole. 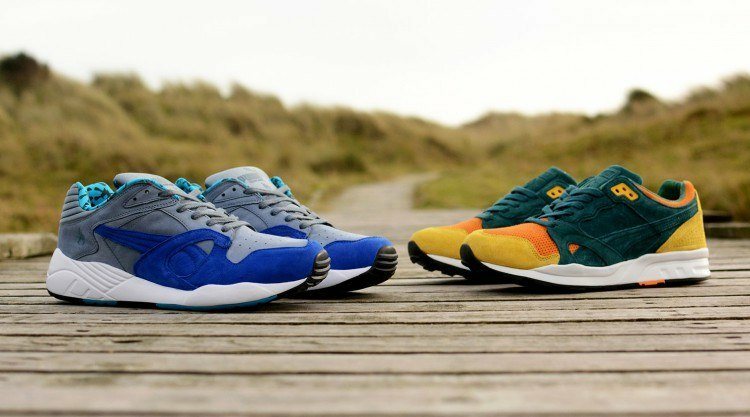 Because of its huge spectrum of colourways, the Trinomic R698 has become an iconic style in today’s sneakers community. 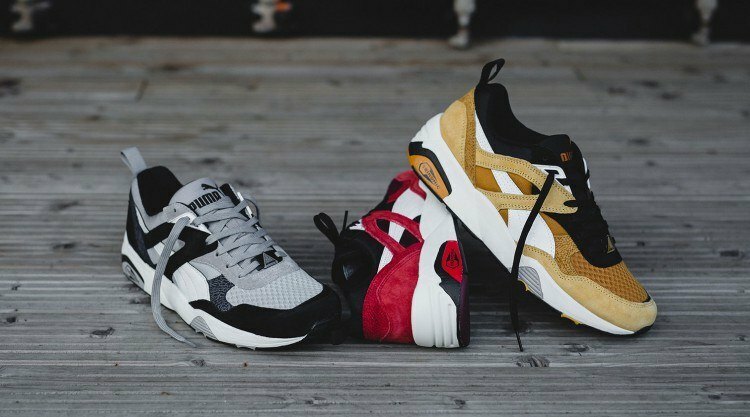 To highlight the true potential of the R698 design, this Trinomic pack fully emphasises the shoe’s iconic silhouette by blocking every panel in different material executions. 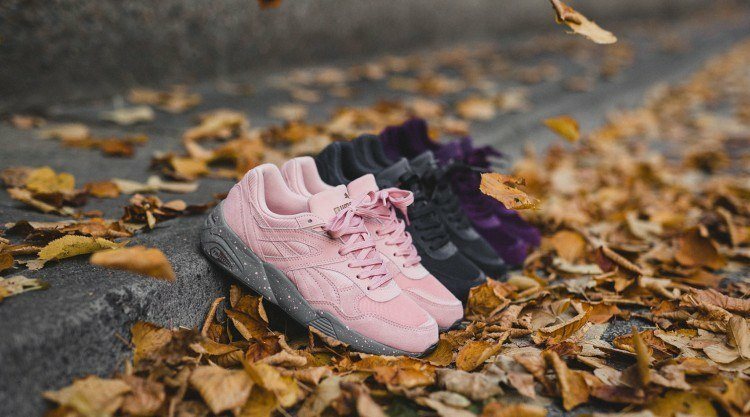 Each panel of the R698 in the Kosma Pack is constructed from a different material, from mesh to soft leather all topped off with a crackled premium nubuck to create a perfect autumn shoe. The new collection is being released in three bold colours representing the mood and golden hues of Fall – lead by the Inca Gold colourway followed by the High Risk Red and Black styles. We teamed up again with renowned Japanese sneaker shop Atmos for a new iteration of the classic Trinomic silhouette – the DISC Blaze Venus. It gets a celestial splash over with an iteration inspired by Venus, the brightest natural object in the sky after the moon. The DISC system dial, in blazing orange, represents the morning star enclosed by dark blue suede upper and a speckled plastic cage that represents the Milky Way. 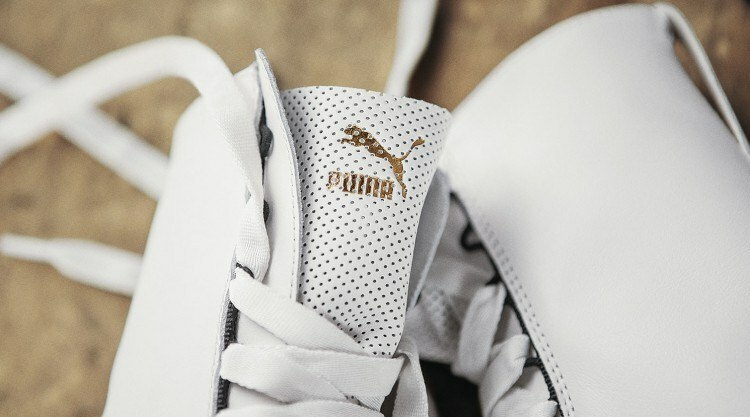 A crescent moon is embossed on the heel along with the PUMA cat logo. 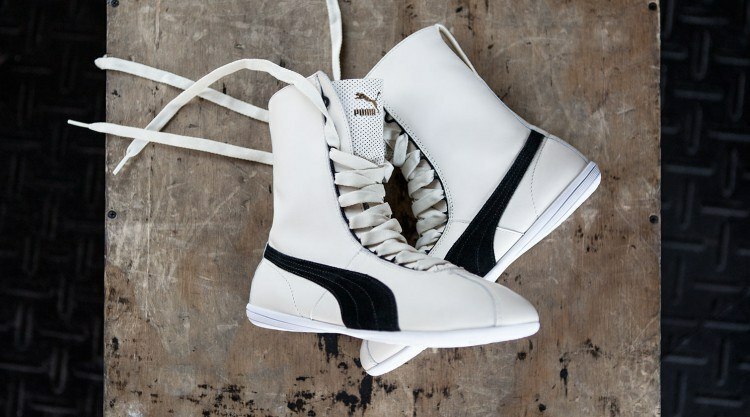 The Eskiva, a lifestyle sneaker for the ladies, is inspired by the PUMA Gong, a boxing shoe that originally released in the 70’s. 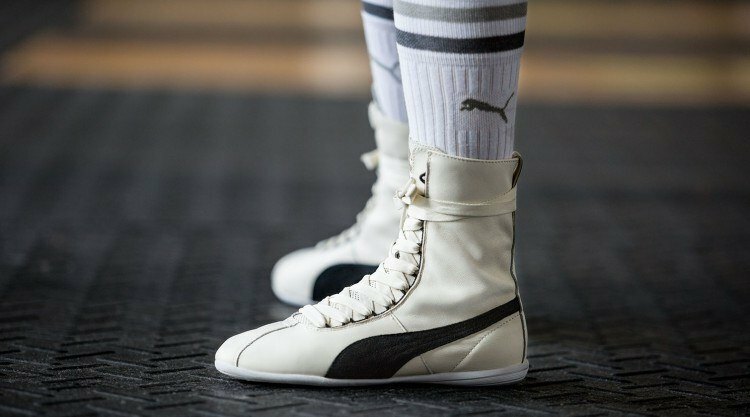 The Eskiva champions PUMA’s athletic roots by keeping true to the original silhouette. Fusing it with modern materials results in a stylish sleek finish. 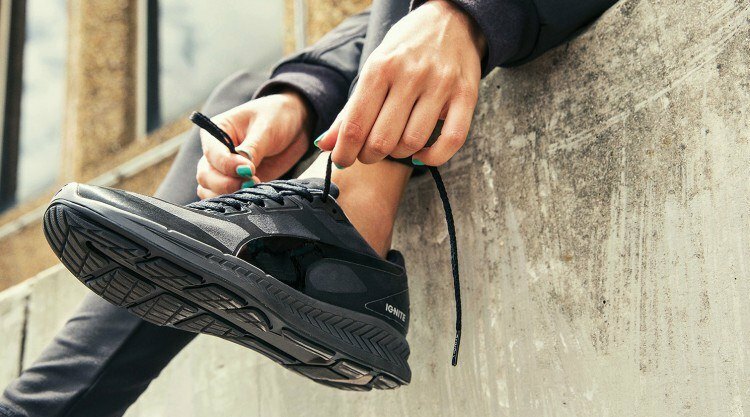 Not compromising in comfort, its low profile is very flattering, while its soft leather upper and easy lacing system fit like a sock. The Eskiva works the flair of a knockout into everyday street wear. Available in several colour iterations – from classy black and white to flashy metallic renditions that instantly adds pizzazz to any outfit. "We want to do more Good"